If you would like to add additional projects please let us know when you BOOK the event, and you MUST have an additional person attend per additional project; (at least one per project) You and your guests will have the studio exclusively for 3 hours! If you would like additional time, please contact us to discuss additional studio time rates. 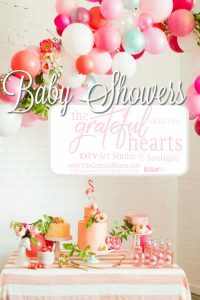 You are welcome to decorate and bring food & drinks (even wine & Beer if desired – must be 21 & older to enjoy alcoholic beverages) We are a NUT FREE STUDIO (NO NUTS of ANY kind or in any recipe are permitted in our studio) We will open 30 minutes prior to event time to allow for studio decorations/set up. Please make sure all set-up is complete and guests are present by the workshop start time.